As the representative of the hard-working people of New York’s 8th Congressional District, I treasure the opportunity to serve my country and better the lives of my constituents in Brooklyn and Queens. In Congress, I continually strive to expand economic opportunity for working-class families, ensure access to high-quality education, protect affordable housing in New York City and reform our broken criminal justice system. There is much work to be done. If you share my aspirations for a stronger, smarter and safer America, please get involved and stay engaged by signing up for our campaign emails and following us on Facebook and Twitter. Support our campaign by volunteering or donating to support our work. Only with your help can we continue to serve this great community and bring change to Washington! 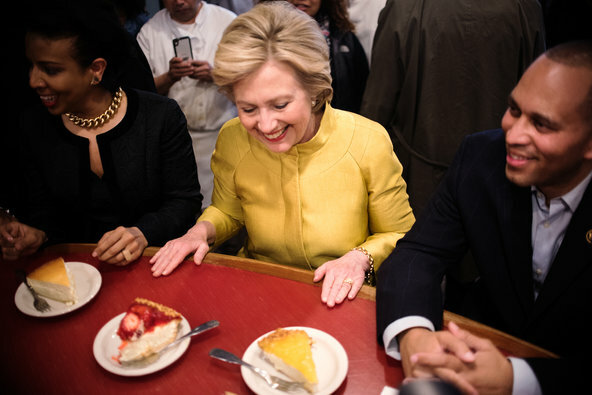 There was no animosity on Saturday when Mrs. Clinton, accompanied by State Assemblyman Walter T. Mosley; Representative Hakeem Jeffries, Democrat of New York; and New York City Councilwoman Laurie Cumbo, shook hands with mostly black New Yorkers at Junior’s, the iconic cheesecake hub on Flatbush Avenue in downtown Brooklyn. New Yorker: Will music streaming kill songwriting? There are already a few legislative initiatives under way, nationally—among them the Songwriter Equity Act, a bill first introduced by Doug Collins, a Republican from Georgia, and Hakeem Jeffries, a Democrat from New York, and then in the Senate by, among others, Orrin Hatch, who is himself a prolific songwriter. (Copyright issues make for strange political bedfellows.) It would amend two sections of the Copyright Act of 1976, to raise the rate songwriters get from streaming services.